"Harlem Shake", not to be confused with the hip hop dance style, is the title of a 2012 heavy bass instrumental track produced by Baauer. In February 2013, the song spawned a series of dance videos that begin with a masked individual dancing alone in a group before suddenly cutting to a wild dance party featuring the entire group. Despite what the name suggests, the videos present a wide range of hip hop dances, including the Bernie, Twerking as well as improvisations. Have you ever want to download and transfer Harlem Shake videos or music to your portable device such as iPod, iPhone, iPad, Samsung galaxy Note, Android phones or tablet for enjoyment? 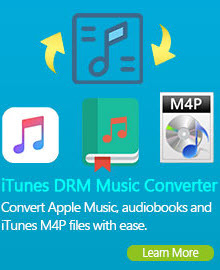 Here the third-party software you need is Any Video Converter Ultimate which is capable of downloading and converting Harlem Shake videos or Music from YouTube and then transferring it to playable MP4 format for well viewing on your device. "Harlem Shake" features harsh snares, a mechanical bassline, samples of growling lions, and Dutch house synth riffs. It has a high tempo characteristic of hip hop and a dance music drop. "Harlem Shake" is categorized by Resident Advisor's Andrew Ryce as a hip hop and bass song, while David Wagner of The Atlantic views it as trap, a musical sub-genre with stylistic origins in EDM and Southern hip hop. Have you ever want to download and convert Harlem Shake video or music for enjoying them on your portable device which features big display screen with better experience? 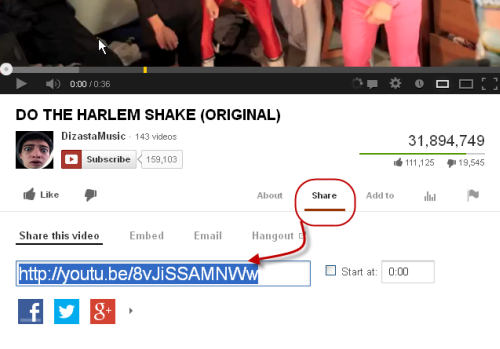 Here the following is a brief guide on how to download and convert Harlem Shake video or music from YouTube. Please download Harlem Shake Video Converter and install it on your computer first. 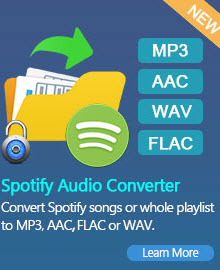 And then run this Harlem Shake Video Converter. You need to find out the YouTube video URL. Please click on share button under the YouTube video then copy URL on the tab. You can also right click on the video window and click "Copy Video URL" to get the URL. Then please click Add URLs Button, and paste the download link to the pop-out box. Then click Add to Download List button. You can continue to paste more video links as the previous steps. After you have downloaded the Harlem Shake Video from YouTube, you can choose your output device and output format. Click "Output Profile" and . For better enjoying videos on Harlem Shake, you can customize video and audio options, such as Video Codec, Video Bitrate, Audio Codec, Audio Bitrate, Audio Channel, Disable Audio, etc. Click Convert Now! button to start converting the downloaded Harlem Shake videos. Once the conversion is finished, you can click "Output Folder" button on the bottom left to get the output files. 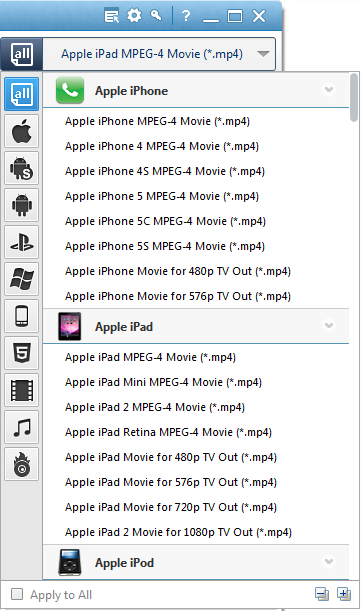 Then transfer the converted videos to your portable device such iPod, iPad, iPhone, Google Android, PSP, Nokia, Samsung Galaxy, Samsung Galaxy Note II, Nexus 7, Kindle Fire HD and etc. "Harlem Shake" is a song recorded by American DJ and producer Baauer. It was released as a free digital download by Mad Decent imprint label Jeffree's on May 22, 2012. The uptempo song incorporates a mechanical bassline, Dutch house synth riffs, a dance music drop, and samples of growling-lion sounds. It also samples Plastic Little's 2001 song "Miller Time", specifically the vocal "then do the Harlem shake", which is an allusion to dance of the same name. Baauer added a variety of peculiar sounds to the song so that it would stand out. The single did not begin to sell until February 2013, when a YouTube video set to its music developed into an Internet meme of the same name. The media response to the meme helped increase the single's sales, as it reached number one on the US Billboard Hot 100. It also charted at number three in the United Kingdom and at number one in both Australia and New Zealand. The success of "Harlem Shake" prompted Billboard to include video streams as a new component of their charts.